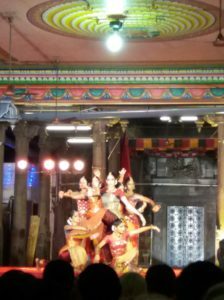 Over the past few years I’ve been visiting Chennai during the December break. 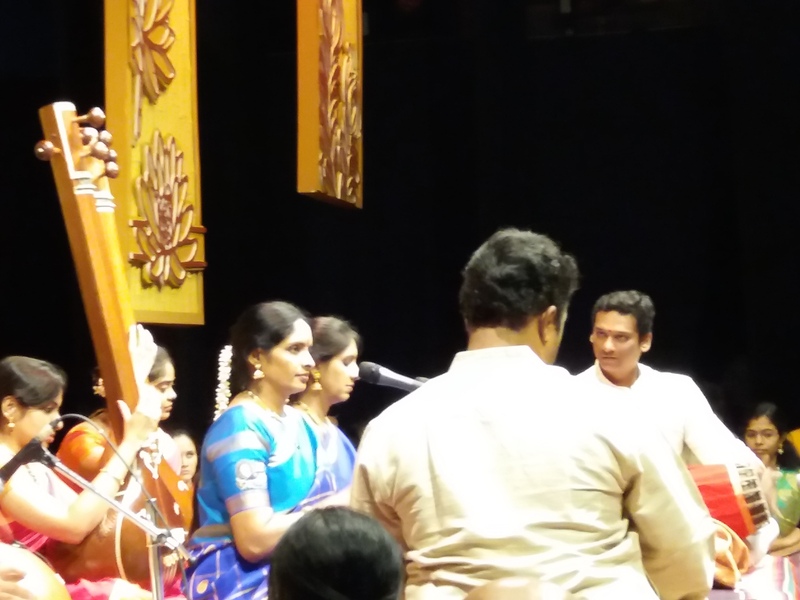 Known as the Madras Music Season, Kutcheri Season (Kutcheri or Katcheri as some type, is a Carnatic music concert) or Margazhi (Tamil month), it is one of largest global congregation of artists and connoisseurs showcasing over 1500 performances! Firstly, I believe I’m still a novice in this area, but some of the trends are ‘cool’. The event spans out about 6 weeks across December and January with performances by well established as well as leading amateur artists. 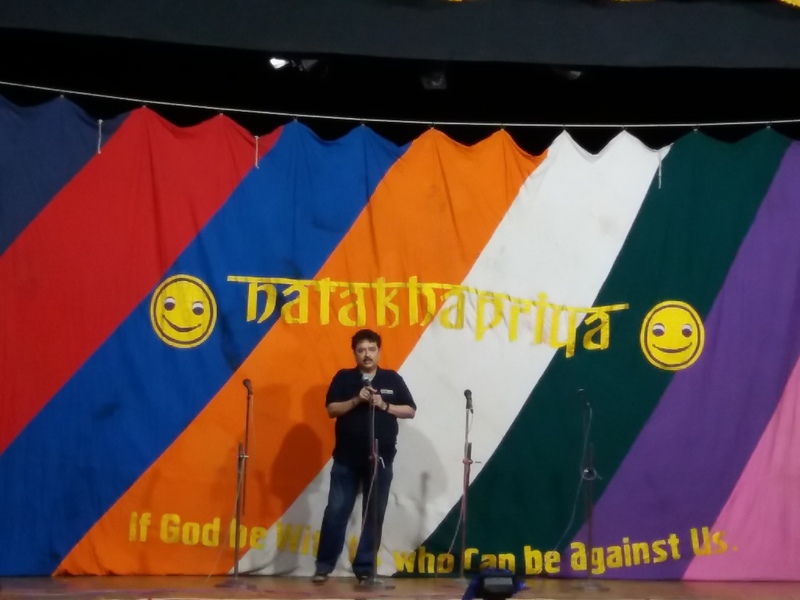 Rasikas (connoisseurs) can enjoy performances every day of the season, across venues (sabhas) and time slots. Artists, venues and time slots are graded. 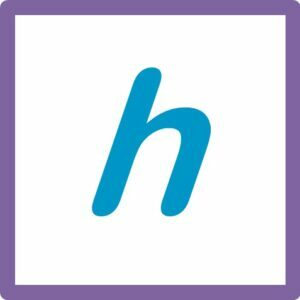 If a particular artist gets a packed audience and good reviews they get ‘promoted’ to a better venue or time slot next year! Getting tickets for these concerts is an experience in itself. We wanted to watch the Ranjani Gayatri sister duo (popularly known as RaGa), and landed up at the ticket counter at 5:30 am to find that there were close to 100 people ahead of us in the queue. 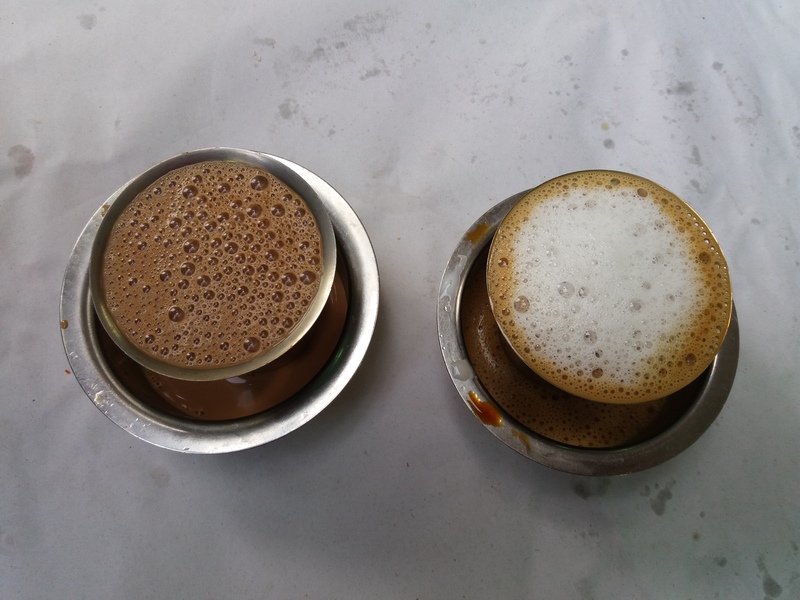 Even if you don’t get a ticket, you do get some fresh filter coffee in the morning. We observed a group of Kannadigas chatting excitedly about the schedule of events and what not to miss. 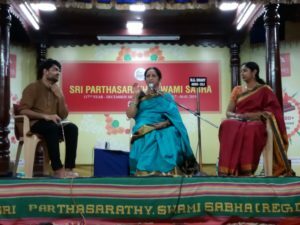 When asked about the current concert, the girl responded quickly in fluent Tamil. Eventually, we got tickets only on the dias (stage). For another performance, we got the last row. The experience either way is awesome – Music Academy auditorium has one of the best acoustics I have experienced. 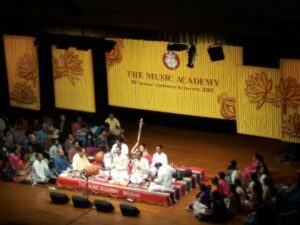 The Music Academy also bestows the Sangeetha Kalanidhi award every year – considered to be the most prestigious award in the field of Carnatic Music. Apart from music concerts, the season has harikathas (a composite art form composed of storytelling, poetry, music, philosophy and more) and lec-dems (lecture demonstrations). 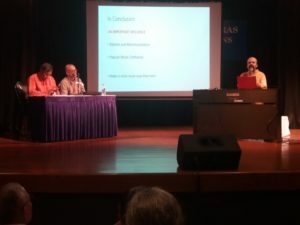 Were fortunate to attend a couple of free lec-dems on very interesting topics. It was amazing to find out how singing involves the entire body, and to know how composers like Debussy and Holst have been influenced. Over the years the music season has diversified into dance and drama, as well Hindustani and other art forms. 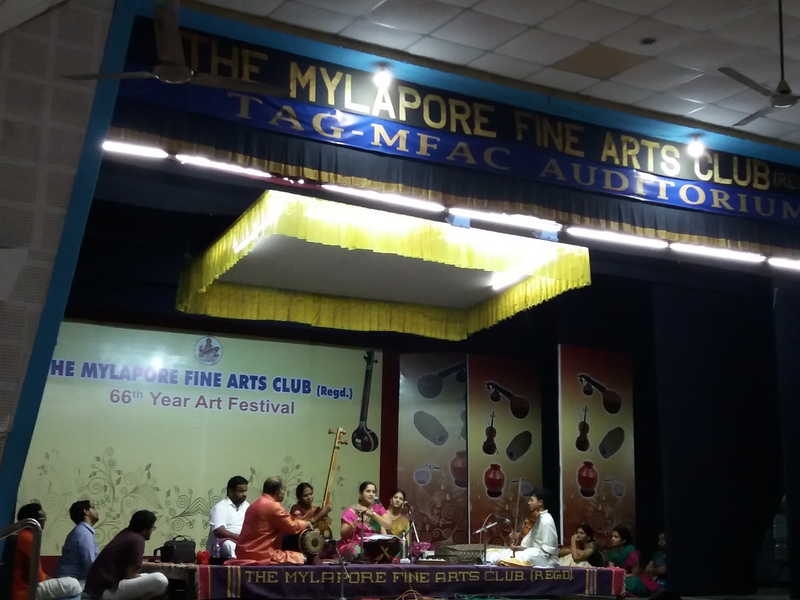 The famous Kapaleeswar temple in Mylapore had a free week long Margazhi Utsav! 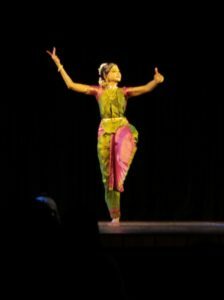 Last year, when we had attended a dance program by Shobhana, Thailaivar Rajnikanth himself walked in! This year we spotted Bosskey, a TV anchor, RJ, critic, stand-up comedian, actor and film critic. He was just hanging around and happy to talk. My wife was super excited to meet him. This year we also attended a drama called ‘Crazy thieves in Palavakkam’, which was apparently Crazy Mohan’s first plan that got him that title 🙂 S. Ve. Shekhar and team punched in so much pun on the political drama in TN. With such good weather, so many friends around, and so much variety in this season for performing arts, a binding factor is … food! Some of my friends know the food menu better than the artist’s repertoire for the day 🙂 I have been tracking Puliyogare Travels, and got to know more about the cuisines and popular caterers such as ‘Mint Padmanabhan’ and ‘Mountbatten Mani Iyer’. This time we also got a free booklet that lists the concerts sorted by artist and date. For many people who wanted to follow specific artists, I thought this was a big bonus. My wife also bought a book which had a list of popular songs listed alphabetically, along with raaga and composer. Good encouragement for kids. We also visited the Karnatic Music Book Centre this year. While writing this blog when I did a Google search for ‘Chennai music season’, I was surprised to get Featured Snippet with the dates – just like you would get it for local weather, sport score or movie timings! Maybe I’ll blog about Google search later, but this clearly shows the popularity.